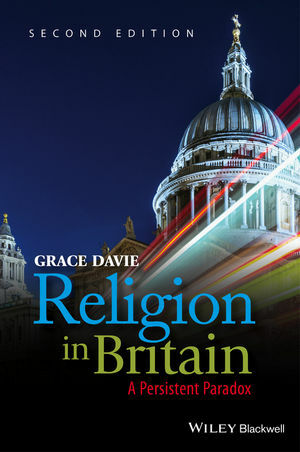 Religion in Britain evaluates and sheds light on the religious situation in twenty-first century Britain; it explores the country’s increasing secularity alongside religion’s growing presence in public debate, and the impact of this paradox on Britain’s society. Grace Davie is Professor Emeritus in the Sociology of Religion at the University of Exeter UK and a senior adviser to the Impact of Religion Research Programme at Uppsala University. She is a past-president of the American Association for the Sociology of Religion (2003). Her publications include Religion in Britain since 1945 (Blackwell 1994), Religion in Modern Europe (2000), Europe: the Exceptional Case (2002) and The Sociology of Religion (Sage 2007 and 2013).